16oz. Sports Bottle with Push/Pull or Straw Cap (Free Assembly) Add Logo to Side 1 and Tips & Information to Side 2. No additional cost for 2nd Side Imprint. 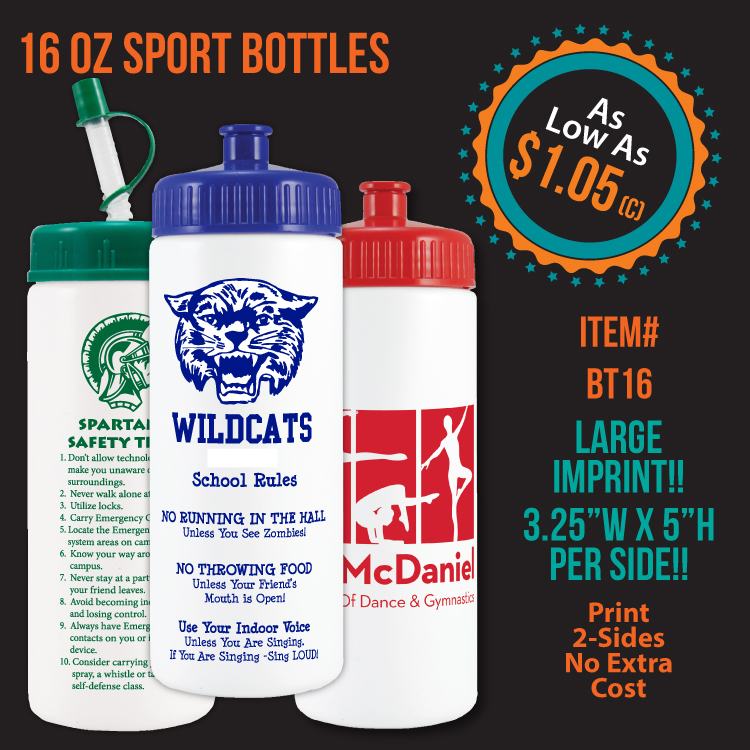 Great product for School Spirit, Team Stores, Tradeshows, Concession Stand Reward Product and more! 8" H x 2.75" dia.